Nitric oxide is something most of us probably haven’t heard much about, but it’s a molecule that turns out to be very important. (Note that Nitric Oxide should not be confused with Nitrous Oxide, which is a general anesthetic.) So we sat down with Dr. Bryan and he explained how nitric oxide improves things like blood flow, memory, energy, and even sexual functioning. Keeping our animals healthy with things like diet, nutrition, vitamins, and herbs, are equally important as understanding the emotional and spiritual conditions of our companions. We traveled to Mount Shasta, CA to meet Sharon Callahan, a gifted animal communicator. Whole grains provide vitamins and minerals that are essential to life but they can be hard to digest. Soaking grains, something traditional societies did for centuries, can make them easier to digest and make the nutrients much more available. Back in the kitchen with Margaret Floyd, an author and nutritional therapy practitioner, she teaches us that soaking grains is easier than you think and well worth the effort. 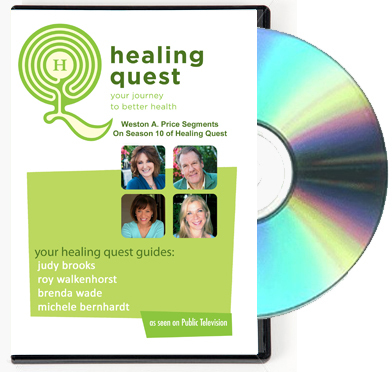 Be the first to review “Healing Quest: Episode #1107” Click here to cancel reply.